Interested in a pet iguana or wondering how to care for it properly? This guide will help you get started with the basics of taking care of this prehistoric pet. What many potential iguana keepers don’t realize is their handful of a baby iguana is destined to grow into something approaching a 20lb dinosaur lookalike. The only reason an iguana wouldn’t reach this size is if they aren’t properly cared for and die young. Since neglecting an iguana is a not an option, this means that pint-sized hatchling soon needs their own room – literally! An adult Iguana measures 5 – 7 ft. (the females are shorter) from nose to tail tip, and weigh in at around 20 lbs. 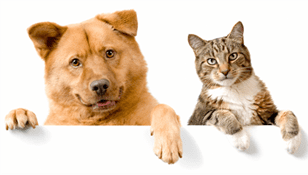 They can also live up to 20 years and are therefore a considered commitment for any pet parent. Your scaly-friend needs plenty of space, such as an enclosure measuring 12 by 6 by 6 feet. Plus they are cold-blooded and require the area to be heated (which can work out expensive in winter) and UV lighting for strong bones. As for food, iguanas are vegetarian and require a diet of fresh fruit and veg. This should be sprinkled with calcium powder to reduce the risk of metabolic bone disease. OK, you have a spare room and embrace the prospect of a large scaly friend. Are iguanas easy to care for? Yes and no. Apart from those amazing prehistoric looks, iguanas are known for their engaging personalities. When handled from a youngster, they grow to know their carer and seek out their company. Iguanas even have a reputation for following their pet parent around like a dog. A final factor to consider when handling an iguana is the risk of salmonellosis. Like many reptiles, iguanas may carry the salmonella bug. The reptile isn’t unwell but excretes the bacteria which then pose a risk to people. Good hygiene is essential, which includes washing your hands after contact with the iguana. If those living with you have weak immune systems (such as children, the elderly, or that on chemotherapy) then an iguana is best avoided as a pet. Iguanas grow big but start out small, and a small reptile in a large enclosure is liable not to find their food. Therefore, be prepared to provide a smaller space for junior and expand the enclosure as they grow. Starting out a 20 gallon aquarium is fine for a young iguana up to 18-inches in length. But know that same iguana as an adult needs a space that’s at least twice their length (nose to tail tip) and as wide as the lizard is long. And this is the minimum requirement. Remember, iguana are arboreal (tree dwelling) and also need vertical space, hence the advice for an enclosure 12 x 6 x 6 foot. In reality, this is the size of a large cupboard or small bedroom, so make sure you have enough space. The choice of floor covering is controversial. Small iguana has a habit of eating things they shouldn’t so be careful their ‘carpet’ if swallowed won’t cause a bowel blockage. Popular options include newspaper, butchers’ paper, or paper towels. Alternatively invest in some reptile carpet, which is thickly woven and difficult to tear apart. Have at least two pieces, so one is in use whilst the other is in the wash. Some people come up with other solutions such as AstroTurf, linoleum, or carpet tiles. And last but not least, make sure the enclosure provides for the iguanas need to climb. Criss cross the cage it with sturdy branches, so your scaly friend can get watch from on high. A cold iguana is soon a sick iguana. To stay well an iguana needs constant heat, a basking spot, and UV lights. Work on providing a background temperature of 80 – 88 F during the day and 75 – 80 F at night (warmer for youngsters). In addition they need a basking spot, which is a hotspot they can sit under to warm up, of around 120 F.
UVB lighting is important for calcium metabolism and strong bones. Given the size of an iguana you may need two UVB tubes to cover the length of their body. These lights need replacing every six months, as the amount of UV they push out drops off dramatically after this time. Oh, and know they like to have a distinct day and night photoperiod. This means the indoor iguana needs their lights turning out when it goes dark outside, and a curtain dropped over the front of the enclosure so they can get their beauty sleep. The popular green iguana comes from the rainforests of South America, which are warm and humid. To mimic this, the iguana’s enclosure need to reach a sticky 80% humidity. This can be tricky, and most keepers opt for a combo of a large water bowl to provide the surface area for evaporation, and misting the lizard several times a day. Provide two water sources. A bowl with a large surface area (for increased water evaporation and higher humidity) and a smaller bowl for drinking from. This said, don’t worry if you don’t see the iguana drink, they get most of their moisture from food, but need the option to drink regardless. Also, be aware that iguana are fond of bathing and defecating in water, so expect to freshen both water bowls regularly. These gentle giants are vegetarian. Some keepers make the mistake of thinking their large size means they’ll benefit from a supplement of cat food. But this is disastrous, because meat-based foods are too high in protein and strain the iguana’s kidney, leading to renal failure. For the ideal iguana diet think raw vegetables, with fruit as a once a week treat. Those best suited to iguanas include collard greens, dandelions, turnip greens, green beans, and yellow squash. In addition there are commercial foods available from reputable reptile companies such as Zoo Med and Rep-Cal. Just be sure to read the ingredients and if they include animal protein put the box back on the shelf. Adult iguanas cope better than juveniles with dry diets; even then it is wise to dampen the food. This is because iguanas get most of the water from their food, and too much dry food may lead to dehydration. Calcium is important for a healthy iguana. However, some veggies contain phytates and oxalates which interfere with the digestion of calcium. Carefully research any new food you give the iguana, and only give limited amounts of veg such as spinach, carrot tops, and rhubarb which rob the body of calcium. A good safety measure is to sprinkle calcium powder on the iguana’s daily salad as a precaution. Also, be aware of a quirk of juvenile iguanas is that they can’t chew their food, so be sure to cut it up. If they swallow a piece that is too big it could cause a serious blockage, which is easily avoided by offering diced veg. Poor care is the biggest cause of premature death in iguanas. Sadly, the most common health problems are also man-made. Iguana mainly sense heat through the parietal eye in their head. When a heat source, such as a hot rock, is provided the iguana’s belly doesn’t register the heat. Many an iguana has suffered serious burns from sleeping on a heat mat that was too hot. Foods containing animal protein, such as insects or pet foods, put a huge strain on the iguana kidney. They simply aren’t designed to process and detox all these rich protein sources, which leads to kidney damage and renal failure. Be sure to hit that sweet spot of feeding healthy veggies loaded with calcium, and strong UVB lighting. If either of these factors is out of kilter, the result is poor calcium metabolism, weak bones, and fractures. The iguana is truly a magnificent animal but to care properly for such a creature takes commitment, attention to detail, and space. Much as you desire to keep one of these beautiful reptiles, put their best interests first. If you can’t meet all their requirements stretching 20 years into the future, then it’s best to admire them from afar. The post Iguana Care appeared first on Love That Pet.